In a bit of sad news for anyone hoping to see a major Android presence at the 2013 MWC like we have seen in past years, Google France has gone ahead and crushed those dreams. 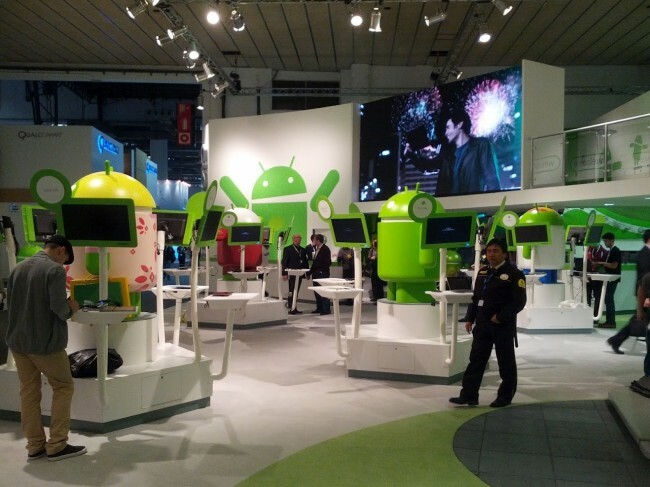 In a recent statement, a company spokesman confirmed that there will not be an Android booth in Barcelona, but the Android team will be on hand to support their OEM partners. Previously, Google has spared zero expense on making sure they had one of the best booths of all time. There have been smoothie bars, claw games with Android plushies, and almost any Android gadget you could think of. This is something we might bring up on tonight’s show, but it is starting to become clear that many companies have recently shied away from major industry shows, such as CES, and are now opting for their own major events. Will this trend continue? Who knows.